Alison Feldmann finds her niche online. 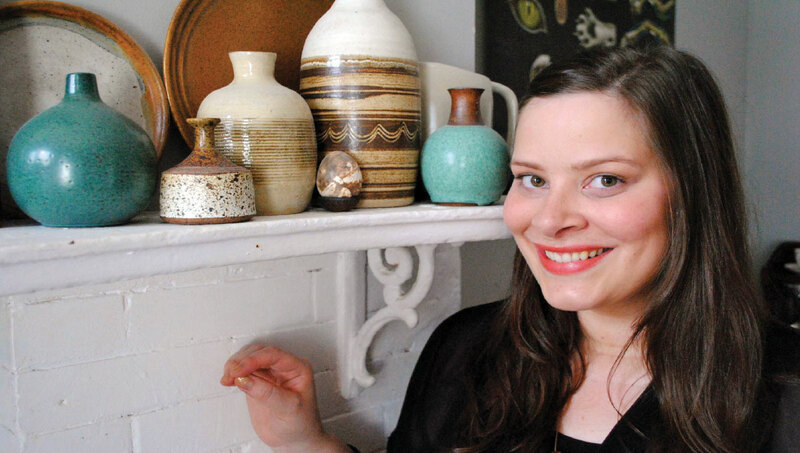 Alison Feldmann doesn't knit, sew, or throw pots, but she's got plenty of do-it-yourself spirit—as seen in her rise to the position of blog editor-in-chief for Etsy, the international online marketplace for handcrafted and vintage items and craft supplies. In the DIY world, Etsy is a heavy-hitter—an elegantly designed, Brooklyn-based website that describes itself as "a beautiful experiment in restoring community and culture to our commerce." Each month, it attracts 60 million visitors who peruse 18 million listed items in categories such as art, jewelry, weddings, and home and living. Feldmann leads Etsy's enormously popular blog, which covers topics ranging from shoemaking to the history of aluminum Christmas trees. The blog partners with the likes of Martha Stewart, interviews design stars like Jonathan Adler, and sums up its ambitious goals with a mission statement that says, "We endeavor to inspire you with the imaginative, the durable, the forward-thinking, the lovely, the comforting, the provocative." Growing up in eastern Iowa, Feldmann was smitten by New York and applied to only two colleges—NYU and Iowa. She chose Iowa for its affordability and for the professional and social connections it gave her with other lovers of the written word. After completing her English degree in 2005, Feldmann stayed on in Iowa City, working three jobs, seven days a week, and saving money for her move. In 2006, she took the leap and for the next year-and-a-half lived in a dicey New York neighborhood. She supplemented her part-time, unpaid internship at Bust magazine with temp work. A Bust colleague told her about an internship at Etsy, then just a small start-up. Feldmann signed on and helped establish the blog. Three months later, she was hired as an editor and in November 2011 became editor-in-chief. Now, she oversees in-house staff, plus 15 to 20 regular writers and numerous one-time post writers and Etsy partnerships. Though she originally imagined a life in print, Feldmann's found her niche online. "I'd been obsessed with the Internet since my family got it in 1995," she says. "I had a blog; I read other blogs. Magazine work felt somewhat exclusionary, and not as democratic as the Internet." Initially, Feldmann's blog work unsettled her parents. "For a couple of years they'd ask, 'Where will you go if the company fails?'" she says. Given Etsy's nearly exponential growth, they no longer fret. Though she loves living in New York, Feldmann enjoys visiting family in Iowa and has fond memories of her years in Iowa City. "I loved the university and the English department—it was so dynamic and I had the opportunity to explore courses both in and outside my field," she says. "My Iowa degree is proof that opportunities come to those who look for them."